Thirty years of shrinking Arctic sea ice has boosted extreme summer weather, including heat waves and drought, in the United States and elsewhere, according to a study published today (Dec. 8) in the journal Nature Climate Change. The new study — based on satellite tracking of sea ice, snow cover and weather trends since 1979 — links the Arctic's warming climate to shifting weather patterns in the Northern Hemisphere's midlatitudes. Changes in the Arctic can perturb midlatitude weather in such regions as the United States, Europe and China because temperature differences between the two zones drive the jet stream, the fast-moving river of air that circles the Northern Hemisphere, explained lead study author Qiuhong Tang, an atmospheric scientist at the Institute of Geographic Sciences and Natural Resources Research in Beijing. "As the high latitudes warm faster than the midlatitudes because of amplifying effects of melting ice, the west-to-east jet-stream wind is weakened," Tang told LiveScience in an email interview. "Consequently, the atmospheric circulation change tends to favor more persistent weather systems and a higher likelihood of summer weather extremes." In the past 30 years, the amount of summer sea ice covering the Arctic Ocean shrank by 8 percent per decade. The total area of summer ice lost would cover 40 percent of the lower 48 U.S. states. The amount of high-latitude snow cover during June waned even more quickly, at almost 18 percent per decade. Ultimately, these two measures mean the Arctic is warmer when summer starts, because the open ocean and meltwater on ice absorb more of the sun's rays than ice does. When the temperature difference between the Arctic and midlatitudes lessens, the jet stream starts to take swooping swings on its journey around the globe, like a river flowing over a flat plain, Francis said. The ridges and troughs in the jet stream create stagnating weather systems, such as high-pressure heat waves, that are stuck in the swoops. The Arctic sea ice effects were even blamed for Hurricane Sandy's swing toward the Mid-Atlantic Coast. The new results add to earlier studies by Francis and her colleagues showing a similar link between Arctic climate change and extreme winter weather, also driven by a wild jet stream pattern. "This study pounds another nail in the framework connecting human-caused climate change with more frequent extreme weather," Francis said in an email interview. However, Francis and Tang said that other factors, such as natural climate cycles like El Niño, could also contribute to the increasing numbers of devastating droughts, heat waves and bitter cold snaps plaguing the midlatitudes. "The results of this study are based on statistical relationships; thus, [a] cause-and-effect [relationship] cannot be definitively identified," Francis said. "That said, the relationships we reveal are consistent with expectations and with the results of other recent studies, providing confidence that Arctic changes are contributing to increasing extreme weather events in midlatitudes." Scientific opinion is still divided on whether the rollicking jet stream is truly linked to climate change or may simply be the result of natural variability, according to a commentary also published today in Nature Climate Change by James Overland, a climate scientist at the National Oceanic and Atmospheric Association's Pacific Marine Environmental Laboratory in Seattle. Part of the problem comes from the paucity of data, because scientists have only 30 years of Arctic observations to use in their analysis. "Skeptics remain unconvinced that Arctic/midlatitude linkages are proven, and this work will do little to change their viewpoint," Overland wrote. "There is insufficient data to formally resolve the debate on whether these events are purely random or if their occurrence is enhanced by Arctic changes." However, "the potential for an Arctic influence remains high, given the outlook for further declines in summer sea ice and snow cover over the next few decades, and Arctic amplification of global temperatures," Overland added. 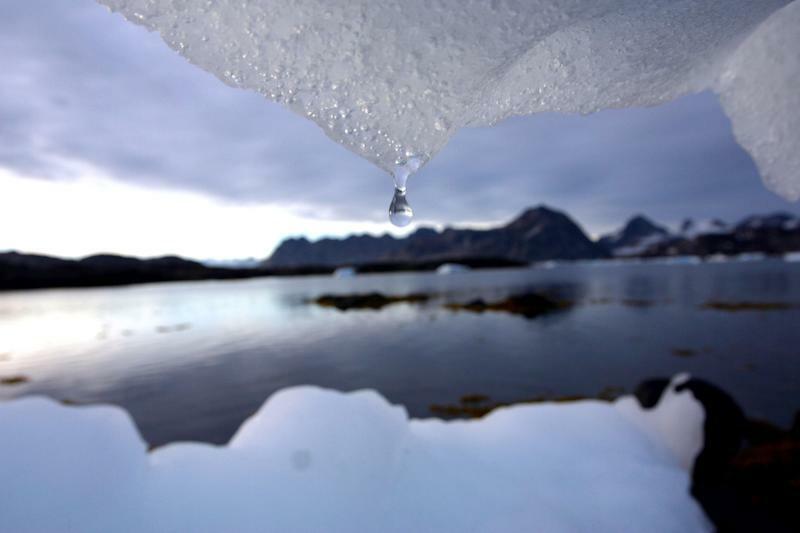 "Expected responses from Arctic impacts may be emerging."